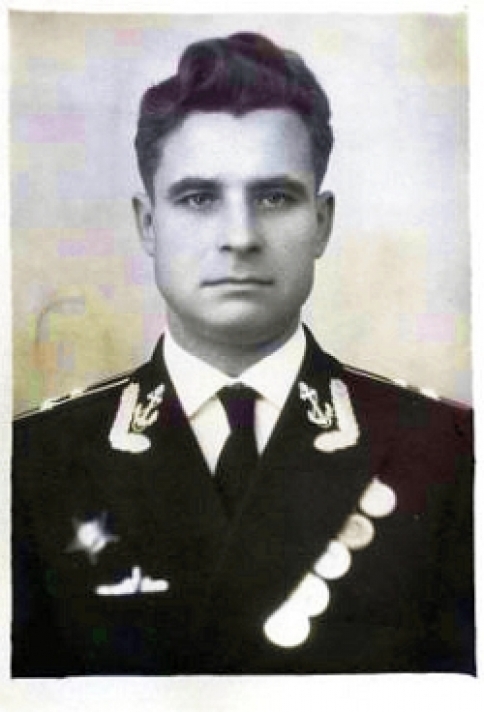 If you were born before 27 October 1962, Vasili Alexandrovich Arkhipov saved your life. It was the most dangerous day in history. An American spy plane had been shot down over Cuba while another U2 had got lost and strayed into Soviet airspace. As these dramas ratcheted tensions beyond breaking point, an American destroyer, the USS Beale, began to drop depth charges on the B-59, a Soviet submarine armed with a nuclear weapon. The captain of the B-59, Valentin Savitsky, had no way of knowing that the depth charges were non-lethal “practice” rounds intended as warning shots to force the B-59 to surface. The Beale was joined by other US destroyers who piled in to pummel the submerged B-59 with more explosives. The exhausted Savitsky assumed that his submarine was doomed and that world war three had broken out. He ordered the B-59’s ten kiloton nuclear torpedo to be prepared for firing. Its target was the USS Randolf, the giant aircraft carrier leading the task force. If the B-59’s torpedo had vaporised the Randolf, the nuclear clouds would quickly have spread from sea to land. The first targets would have been Moscow, London, the airbases of East Anglia and troop concentrations in Germany. The next wave of bombs would have wiped out “economic targets”, a euphemism for civilian populations – more than half the UK population would have died. Meanwhile, the Pentagon’s SIOP, Single Integrated Operational Plan – a doomsday scenario that echoed Dr Strangelove‘s orgiastic Götterdämmerung – would have hurled 5,500 nuclear weapons against a thousand targets, including ones in non-belligerent states such as Albania and China. What would have happened to the US itself is uncertain. The very reason that Khrushchev sent missiles to Cuba was because the Soviet Union lacked a credible long range ICBM deterrent against a possible US attack. It seems likely that America would have suffered far fewer casualties than its European allies. The fact that Britain and western Europe were regarded by some in the Pentagon as expendable pawn sacrifices was the great unmentionable of the cold war. Fifty years on, what lessons can be drawn from the Cuban missile crisis? One is that governments lose control in a crisis. The worst nightmare for US defence secretary Robert McNamara was the unauthorised launch of a nuclear weapon. McNamara ordered that PAL locks (Permissive Action Links) be fitted to all ICBMs. But when the PALs were installed, the Strategic Air Command had all the codes set to 00000000 so that the locks would not impede a quick launch in a crisis. Nuclear weapons security will always be a human issue – at all levels. On one occasion, Jimmy Carter, the sanest of US presidents, left nuclear launch codes in his suit when it was sent to the dry cleaners. The cold war has ended, but the thermo-nuclear infrastructures of the US and Russia are still in place. And the risk of a nuclear exchange between the superpowers remains very real. In 1995 Russian early warning radar mistook a Norwegian weather rocket for a ballistic missile launched from an American submarine. An emergency signal was sent to President Yeltsin’s “Cheget”, the nuclear suitcase with launch codes. Yeltsin, presumably with vodka close at hand, had less than five minutes to make a decision on a retaliatory strike. Most of all, the Cuban missile crisis showed that the weapons themselves are the problem. Britain is now in pole position to lead a “nuclear disarmament race”. In a 2009 letter to the Times, Field Marshal Lord Bramall and Generals Lord Ramsbotham and Sir Hugh Beach denounced Trident as “completely useless”. Ditching the system may be a no-brainer for the generals, but not for politicians afraid of a public opinion that equates nuclear weapons with vague notions of “being strong”. And yet getting rid of Trident would gift the Treasury a windfall of more than £25bn – enough to finance a million affordable homes. The decision not to start world war three was not taken in the Kremlin or the White House, but in the sweltering control room of a submarine. The launch of the B-59’s nuclear torpedo required the consent of all three senior officers aboard. Arkhipov was alone in refusing permission. It is certain that Arkhipov’s reputation was a key factor in the control room debate. The previous year the young officer had exposed himself to severe radiation in order to save a submarine with an overheating reactor. That radiation dose eventually contributed to his death in 1998. So when we raise our glasses on 27 October we can only toast his memory. Thank you, Vasya.